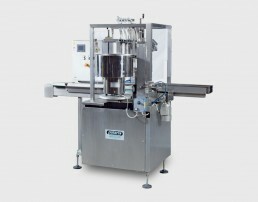 Polaris Automazioni designed the B1 line for small producers looking to automate only the filling and capping functions. Also this Monobloc avails the new filling system designed specifically by Polaris for the various types and densities of vinegar. The machine is a Monoloc unit made entirely in AISI 304 stainless steel. All parts coming into contact with the product are made in AISI 316 stainless steel. 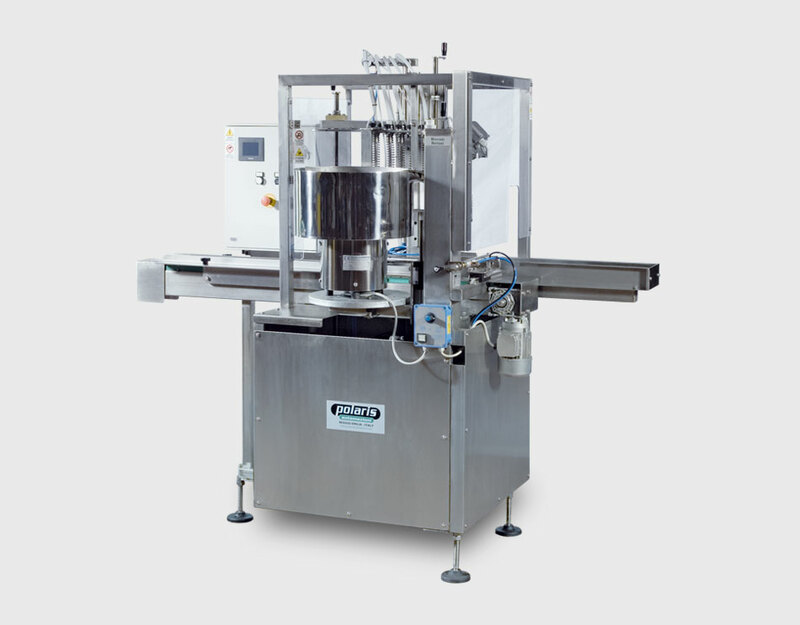 FILLING MACHINE 5-nozzle filler with 3 different filling modes: pressure, with light vacuum in the bottle, or a combination of the two modes. The three options can be used for filling with liquid vinegar (using a slight vacuum), balsamic vinegar, or glazes and condiments that are particularly dense (filled under pressure). Filling under pressure enables the use of glass or plastic bottles (PET or HDPE) and has an inverter-controlled pump to adjust the filling speed based on the type and density of the vinegar for filling in order to prevent foaming. The machine is supplied with an automatic internal cleaning programme with pipe/false bottles.